D.S. 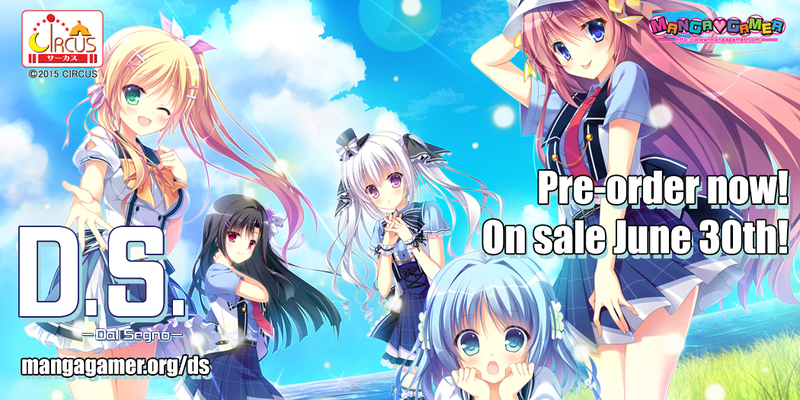 – Dal Segno – Now Available for Preorder! D.S. – Dal Segno’s All Ages Steam version will be receiving a free patch to implement adult content! We know how important platform choice and version parity are to many of you, so we used our recent in-person meeting with Valve as an opportunity to address those concerns and discuss content restrictions and off-site patching. We’re committed to doing right by our customers while adhering to Valve’s policies, and to that end we managed to reach an understanding with Valve regarding patches. We will be working to update some of our existing Steam titles with content patches in the future; however, as our previous Steam releases were designed as separate versions, it may not be immediately possible for some older releases. We will have more information pertaining to previous releases in the coming weeks, so keep your eyes peeled for more good news! Even with content patching on the table now, stripping our more “mature” offerings of the bulk of their content would just be tragic, so no, you won’t be seeing all-ages euphoria on Steam. That said, you will always be able to pick up our raunchier titles directly from us! Tagged Circus, dal segno, ds. « Dungeon of Corruption Now On Sale! This makes me so happy. One of my greatest frustrations has been a game on Steam, and an overpriced patch being made avaiable, typically Frontwing or Sekai Project. You continue to be my favorite VN localization company by treating your customers well. You don’t know how happy I am about getting a free patch for the Steam version. Thank you so much!!! Ooo, this looks fun! Also, let’s hope that second announcement is Bokuten, yeah? I’ve been waiting AGES for that game. Already preordered, though I won’t get a chance to play it on the day it’s released as I’ll be leaving for AX that day and I’ll be visiting the folks behind MG.
Don’t really care for steam but Mangagamer is still the “Game Changer” when it comes to eroge in the west. I’d love to know how the company is doing compared to the time of the original voiceless koihime release, been a customer since, but guess that’s confidential.